Tsantilis Antiques is located in the heart of Athens and is the oldest and most prestigious antiques store in Athens Greece. We are accredited by international major media houses & high-end collectors as the most respectable source of premium artifacts. For the past three generations we have been serving collectors, designers and museums. Located in Athens for the past 90 years, we draw our inspiration from the rich history of this ancient town and Country. This is reflected on our collection of works of art. Our vast inventory ranges through 18th, 19th and 20th century European, American, Middle Eastern and Asian works of Art, including paintings, furniture, sculpture, silverware, objects of art. The Tsantilis antiques store is specializing in traveler’s art, including Orientalist Art, Ottoman – Turkish Art, Philhellenic – Greek Art, Arabian Art & Chinese Art including paintings & objects of Art. 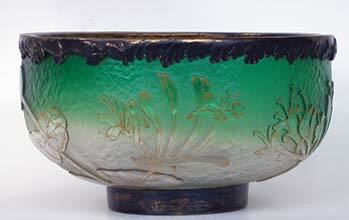 Our collection also includes exclusive works of Art from Russia, Japan, India, France and the United Kingdom. We also have an important collection of French, English & Russian objects of art from The Great Empire & Napoleonic period. Fabulous gilt Bronze & decorative items like Urns, Ewers, Statues, mantel clocks, centerpieces, Vases, Candelabra, Wall lights, Sconces, Cassolettes, Chandeliers & Furniture. All our pieces are selected with expert connoisseurship and an eye towards the unique. The Tsantilis antique shop was founded on integrity and a sincere appreciation of artistry. Today, these are values that remain central to our continuing tradition. The Tsantilis Gallery team is uniquely qualified to assist clients in collecting, appraising – valuating paintings & works of Art. Our clients buy and sell antiques confident in the knowledge that they receive the best advice and expertise whether they are museums or individual collectors. Our Clientele includes major & reputable collectors, passionate & with deep admiration of Premium works of Art, politicians, businessmen, royalties, Actors, Singers etc. We can arrange to pack and ship works of art in Greece and abroad. Mr. A. Tsantilis is a third generation Athens based antiques dealer and a certified “senior appraiser” on European and Greek works of art. 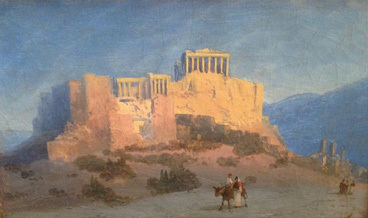 He is specializing in Greek paintings of the 19th and 20th century. He has been educated abroad and in Greece and is still today continuing his training by attending classes at the University of Athens. He is the owner of Tsantilis Antiques shop. With more than 23 years of experience in the field, Mr. Tsantilis searches out most of his inventory privately, directly from the “source”, being either a private collection or family estate. The majority of restoration work is done in house, providing over three generations of experience in the technical aspects of construction, form and preservation skills. Mr. Tsantilis has lectured on Greek paintings and antiques as part of a local adult program and is often requested as a guest speaker at Athens based events. Mr. Tsantilis has gained his reputation as one of Europe’s leading dealers in Greek art. This includes material such as Greek orientalist paintings, mirrors and 18th century furniture. The collection in store also consists of decorative and exclusive objects of art, such as Baccarat, Galle, Sevres, Cristofle, Sheffield and Bohemian glass. g) Advise for creating an art collection, where to begin etc. Mr. Tsantilis has conducted & participated in researches over the medieval history of Greece. These researches include Byzantine & Frankish military architecture on important historical buildings, medieval weaponry, local costumes and folk art in the country during the Byzantine, the Frankish and the Venetian era. These researches mostly took place in the Peloponnese, the Cycladic islands and Crete. Mr. Tsantilis has also participated in researches of the so called “Philhellenic era” during, before and after the Greek war of independence. The above researches cover important historical moments, weaponry, local costumes and folk art. Extensive research has been made on the Philhellenic Art & Artists including paintings, statues, pottery, etc. Due to his broad experience he has been requested by the local Greek Authorities, foreign ministers, businessmen, executives, V.I.P.s to serve as a private tour guide at museums and out of the ordinary sites (ancient and medieval castles & churches).